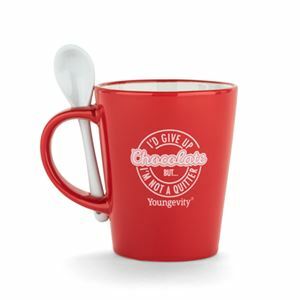 This beautiful ceramic red mug is a must for all Youngevity chocolate lovers! It’s the perfect mug to drink your hot chocolate out of, or any other warm beverage. 12 fl.oz. mug.